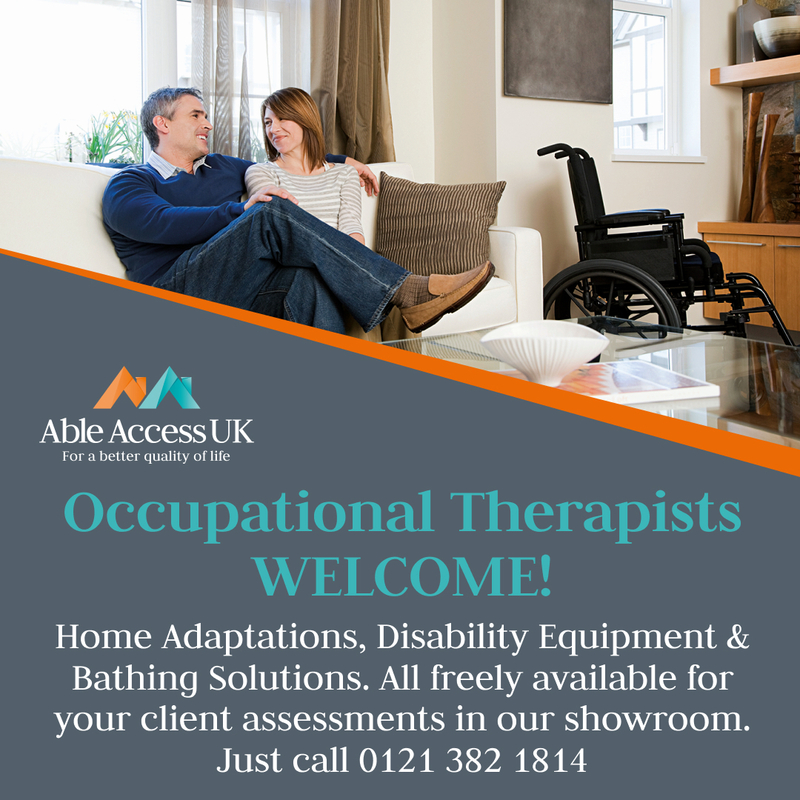 We love to do a good turn here at Able Access UK, and that’s why we are happy to let occupational therapists both private and local authority freely use our showroom facilities and equipment for training and private assessments with their clients. You’ll have all the privacy and time you need, we’ll pop the kettle on and then leave you to it. Just call the main office to check availability and book in.